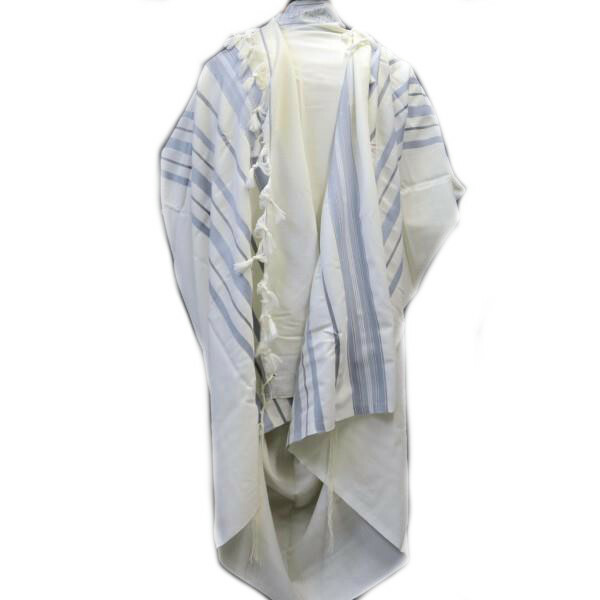 The Tallit is a delightfully unique piece of Judaica art and a Jewish tradition kept since its mention in the bible. This nice design features light blue stripes alongside gray stripes and then silver stripes, atop a white background. 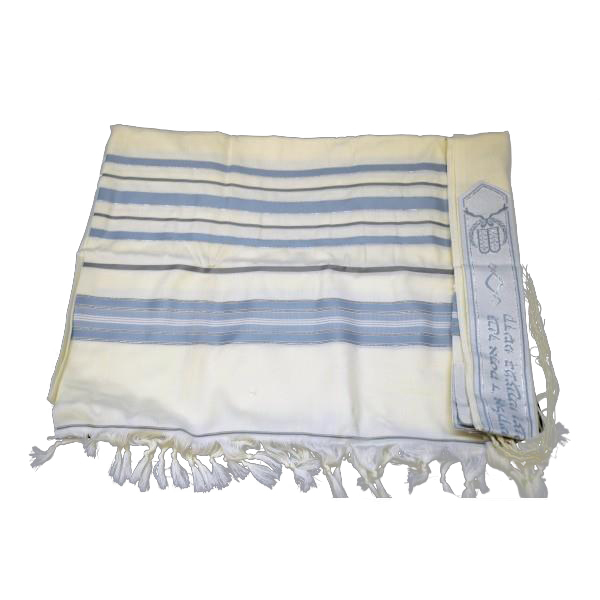 Traditional but a modern and more stylish, this wonderful Tallit prayer shawl makes an ideal gift for any groom, man, or bar mitzva boy. The Tallit is a delightfully unique piece of Judaica art and a Jewish tradition kept since its mention in the bible. This nice design features light blue stripes alongside gray stripes and then silver stripes, atop a white background. 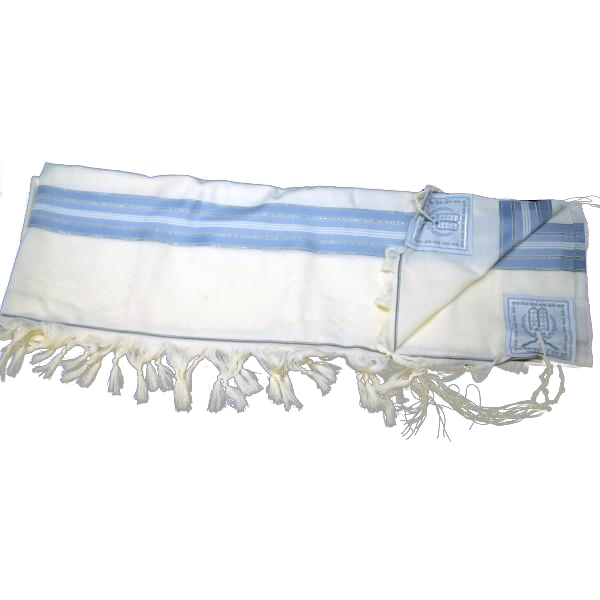 Traditional but a modern and more stylish, this wonderful Tallit prayer shawl makes an ideal gift for any groom, man, or bar mitzva boy. 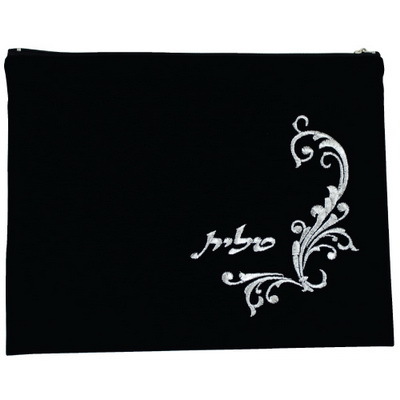 Gifted either at the bar mitzva or the wedding, or another special occasion, this fabulous prayer shawl is a delight to behold. Under its folds, you will find pure focus on your prayers, free from distractions or impure thoughts. 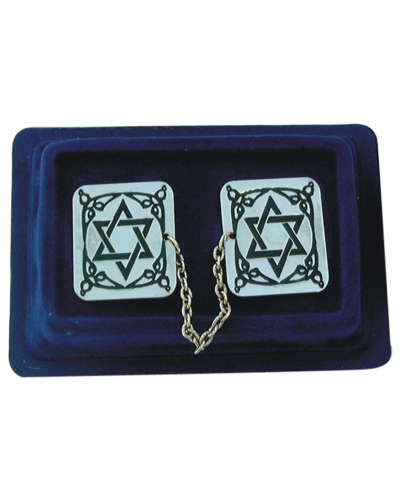 This Mishkan Hatchelet Tallis will inspire your prayers and send them upwards, right to g-d.